I am a huge fan of leaving my hair to air dry. Maybe its laziness, maybe its just convenient and less damaging to, but honestly I don't really know the answer. 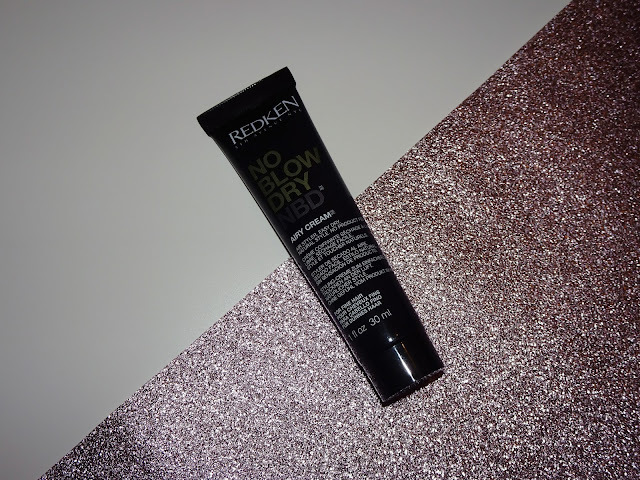 When I got the Redken no blow dry airy cream in my advent calendar I was very excited to try it out and see if it made a difference to my hair and the way it dried without blow drying it. The product comes in a squeeze tube and is an easy to use packaging which I really like. Inside the tube the product is a cream consistency similar to a conditioner, and I think this style of packaging is good for the product as it is easy to control how much you use, while being easy and convenient to squeeze it out. In terms of the product itself, it is a white cream with a pleasant scent that applies to the hair nicely and evenly with minimal effort. I usually towel dry my hair to get some of the excess moisture from the hair, then I work a small amount of product between my hands and then distribute it evenly through my hair, concentrating on the lengths and ends. Once applied to the hair it is undetectable and feels weightless in the hair which I like. I find that the undetectable state this has in the hair is nice as it means when I don't b low dry my hair and I apply this before going to bed with wet hair, the hair doesn't have residue on it, nor does it leave anything on the pillow when you lay down. Once my hair has dried, I will say it doesn't take too long for my hair as it is quite fine and I can't say this speeds it up much, but my hair does feel softer and smoother than when I leave it to air dry without product. I really like how smooth and soft this leaves my hair and it does give some extra body into the hair which I really like. I have never really looked into any product like this,l however, I thought it looked interesting so made sure to give it a go when I got it. I definitely think this is a product I want to look into more as I have really enjoyed using it and think it could become a staple in my hair care routine. I have been blow drying my hair a little more this past month to train my new parting to stay in my hair, but about half the time I have washed my hair I have let it air dry. I definitely will be adding this onto my repurchase list to get in the future as I am really enjoying how this works. At £15.50 for 150ml, here, I think this is a really good price for the brand and the product as it will last a nice length of time due to only needing a small amount of product each time you use it. 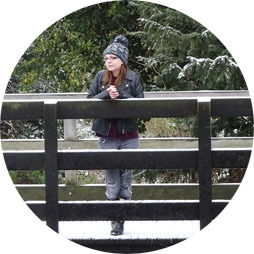 I'd love to know if you have tried anything like this in that past as I love discovering new things and testing them out!